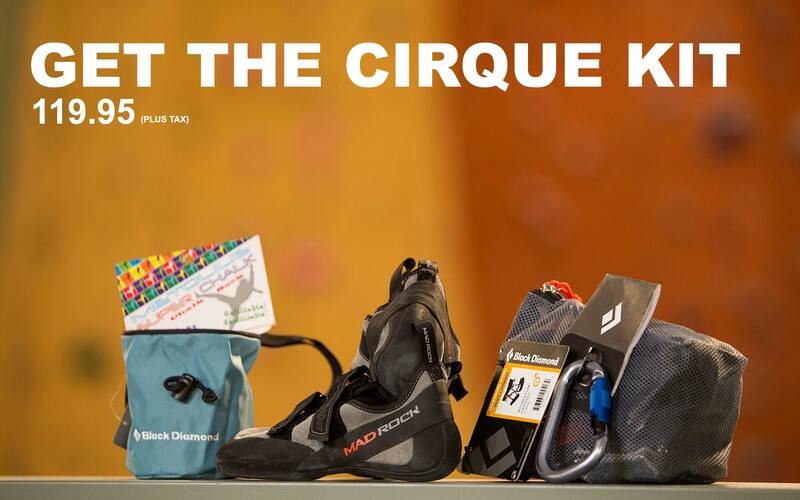 We’re proud to offer the Cirque Kit! Everything you need to get the most out of your visit to the Cirque Climbing Gym. Included: Black Diamond Chalk bag, Metolius Super Chalk, Mad Rock Shoes, Black Diamond harness, and a Black Diamond locking carabiner. Come in today and let us get you started!